About Michael L. Message Michael L.
Mike was excellent. Took us to exactly what we wanted to see. Chose a splendid place to stop for lunch. Very informative commentary and returned us to our ship at the correct time. I choose Mike again if I'm in that part of the planet again. Michael is personable and full of knowledge about Northern Ireland history. We had a great time spending the day with him. I highly recommend him as a guide. We would highly recommend Michael for this tour. There were 7 of us and everyone said that it was the best tour they had been on. We saw lots and Michael is very knowledgeable and highly entertaining. Plenty of stops for pictures and Michael never rushed us. He even found us a memorable pub for a great lunch. We had a great day with Michael. He was very informative and took us to some really great places; we especially loved “the roller coaster” road, which we’d never have been able to travel down on a bus tour. He easily made some last-minute adjustments when we wanted to stay a few places longer than expected. Thanks for a great time Michael! Michael was the perfect guide for our visit in Belfast. We followed the suggested itinerary but Michael also showed us the many murals in the city and briefed us on the history of "the troubles". He was very knowledgeable about the area and all the sights. His vehicle was comfortable and spotless. It was a pleasure to spend the day with a true professional with a great personality. He made a special stop for us at Royal Portrush so my golfer husband could see the course and purchase golf shirts!!!! Michael was an awesome tour guide, he was kind, thoughtful and very knowledgeable about the history and legends of Northern Ireland. Despite the unfavorable weather conditions for the day, Micheal made our trip to the Giants Causeway and surrounding area very memorable! The tour of the northern Irish coast with Michael was the highlight of our vacation in Ireland. He was a fantastic guide, and took extra time (and was very patient) to show us stunning views of the coast. My family and I were very pleased with the experience and would highly recommend the tour! Loved our tour with Michael L! He was on time, and spent the entire day showing us so many amazing places we would never have found ourselves! He was extremely knowledgeable about the area, the history and was a blast to chat with! Thank you for a wonderful day!!!! My husband and I did a tour of Armagh and Antrim Counties with Michael Lyons. I wanted to see the counties my family came from and Michael did a wonderful job of showing us what I came to Ireland to see. Michael was very accommodating to our changing interests and a delight to spend the day with. 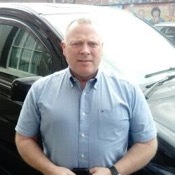 I would highly recommend Michael to anyone who wants a wonderful tour in Northern Ireland. He helped make my day very special. Michael was so accommodating. He picked us on time and suggested taking the scenic route to the Giants Causeway, which was absolutely beautiful. He made stops along the way so we could take pictures and enjoy the scenery. When our group talked about it later, we decided he was the most enjoyable tour guide we had on this trip. Tour was excellent. Michael was able and willing to adjust to our specific requests and his wonderful commentary greatly added to the quality of the tour. Michael was so personable and fun. He took us through the city of Belfast to several historic sights centered around the strife between the factions that still continue today. His commentary was wonderful. We then ventured out into the beautiful countryside. To no fault of Michael's, the Giants Causway was interesting but underwhelming. Michael is very punctual, kind and patient. He adjusted to our needs and tried to please us in everything. He was very knowledgeable and answered all of our questions. We would definitely recommend him. LOVE LOVE LOVED getting to spend the day with Michael. He was knowledgeable, funny, kind, and incredibly accommodating. I felt like I got to see a part of Northern Ireland that not everyone gets to see - especially the beautiful "roller coaster" drive. I felt connected to the place and it's people because of traveling for the day with someone like Michael. I can't recommend hiring him highly enough. His car is very comfortable as well. Michael did a fine job of showing my wife and me the sites. He was friendly, knowledgable and always anticipated the best routes to avoid traffic back ups or delays. We were on the 7.5 hour tour with Michael. He is a life-long Belfast/Northern Ireland man and we recommend him very highly. Michael is a great tour guide. We saw many wonderful, interesting, and beautiful things on our all day tour. 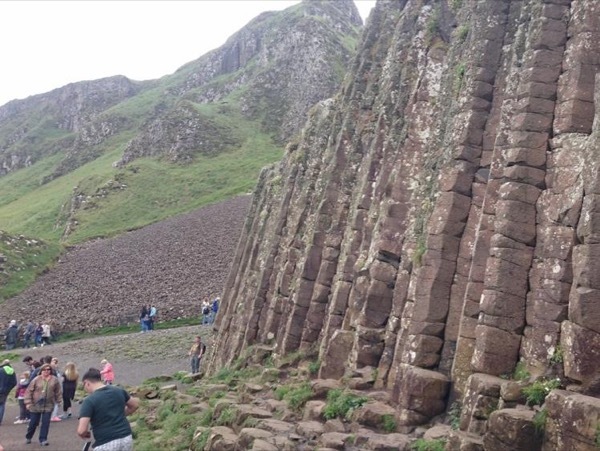 We covered from Belfast to the Giant's Causeway and just about everything in between. Michael's commentary is scholarly and illuminating. He shared his vast knowledge of the history of Ireland with us. He is an excellent, gracious, and accommodating host. THE BEST! We had an excellent full day tour that included unexpected extras. We enjoyed the Torr Road and its awesome views. The restaurant Michael recommended was perfect for lunch. He was friendly and patient, especially when we went past our allotted tour time. He made our tour of Belfast and the Giant's Causeway our most memorable one. We were able to find him quickly when we disembarked our cruise ship in the morning and he dropped us off right by the ship after. Couldn't have been easier. Highly recommended! Michael was FANTASTIC! He had a full itinerary planned for us on the Giants Causeway tour. He knows the area, the history, and the politics. He was interested in our comfort and in seeing that we got the absolute most out of the day. He took us to great spots for photo ops, and did an outstanding job of avoiding the tour coaches. In addition, he took us on magnificent scenic roads that no tour bus could possibly use. He was very accommodating, and we highly recommend his services.